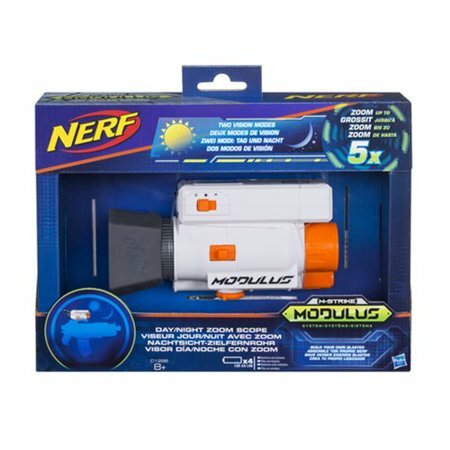 Walmart has the Nerf Modulus Day/Night Zoom Scope on sale for $22 (regularly $42.39). Kids can customize their blaster for any mission or battle with the Nerf Modulus Day/Night Zoom Scope. The zoom feature provides up to 5x magnification to help with targeting by making images up to 5 times larger. Infrared mode helps battlers to see images more clearly in low-light conditions. The scope has a bright-light/low-light mode selector switch and a toggle button to zoom in and out.